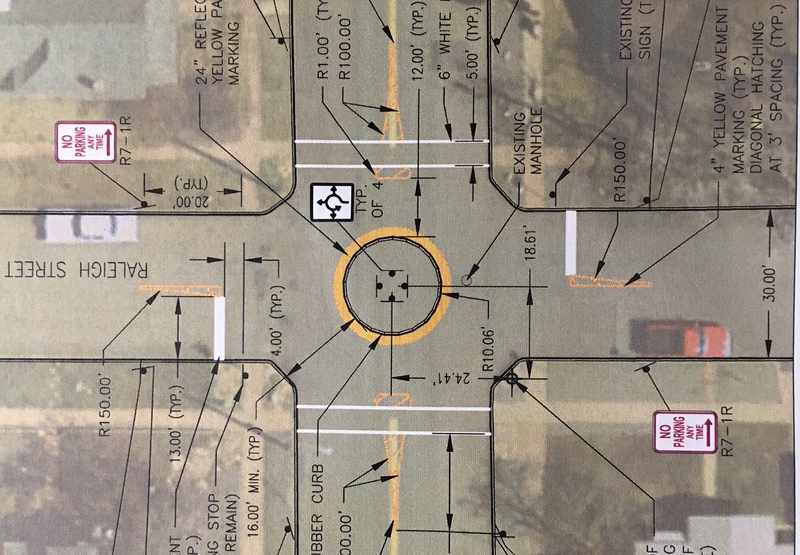 Denver Public Works will finally install neighborhood traffic circles at three intersections on West 35th Avenue this July, three years after plans were first drawn up. This design is part of DPW’s plan to make 35th a “neighborhood bikeway” with calmer traffic. The traffic circles slow motorists at intersections but still allow cyclists to proceed without coming to a stop. The traffic circles will consist of six-inch-high rubberized curbs with yellow reflective strips at Julian, Newton, and Raleigh streets. Functionally, they’re like little roundabouts, with drivers turning left taking the “long way” around the circle. Currently on 35th at Newton and Raleigh, there are only stop signs on the side streets. Adding the traffic circles at those intersections will slow down through traffic on 35th. At Julian, there are stop signs on 35th that will be removed as part of the project. The idea is that car traffic on 35th should proceed at a consistently safe speed, and that bicyclists should have a route where they’re not expected to constantly halt their momentum. “We’re going to evaluate how well the circles keep people on bikes moving along the corridor while calming vehicle speeds,” DPW spokesperson Nancy Kuhn said in an email. Problem is, it’s taken years for DPW to deliver on something so inexpensive and easy to install. The beauty of these safety interventions is that they’re nimble — the city shouldn’t take years to get them done across Denver. Yet that’s exactly what’s happened, not unlike the 29th Avenue bikeway that outgoing transportation director Crissy Fanganello mentioned in her exit interview with Streetsblog. Granted, the roundabouts are part of a bigger neighborhood bikeway project, but it’s comprised of similarly small changes. Speeding up the pace of change is something DPW Executive Director Eulois Cleckley has said is a priority. You don’t always need major, expensive street redesigns to calm traffic. Small, inexpensive street interventions often do the trick, and these traffic circles are an example of that. Three years? Should be three weeks. We will *never* make appreciable progress to safe traffic at that pace. I would love to see these along 14th Ave. from Irving St. to Sheridan Blvd. This is great news, and it seems like a viable alternative to the Idaho stop. I’ll definitely try rerouting my commute that direction once they’re done. I’ll also be curious to see how cars deal with this. American drivers tend to treat stop signs as yield signs, and roundabout yield signs as stop signs. There are definitely some drivers who speed along 35th, using it as a personal bypass to 38th, and my question is whether this will discourage them, or encourage them to be more jerky. Putting a wiggle into the car’s path usually slows cars down. You’re right–I was thinking these were smaller than they are. It’s a pretty serious wiggle for a car. If this meets their criteria, lets hope they deploy them more widely! I do drive along that stretch of 35th occasionally, and I think this will be an improvement as a driver too. These are all over Minneapolis/St Paul and they’re really wonderful. People have made community gardens out of all of them. Quite charming. Highly recommend. 11k probably includes the materials, man hours needed to install and stripe the road. The problem with these is they make the car veer RIGHT INTO the path of bikes on the road, and right into the pedestrian crossing area. We have a couple of these in Santa Monica and it’s terrifying if you are on foot or on a bike. Look at the diagram and imagine you are biking on that road, at the intersection the car swerves right into you. Curious, is that supported by data? Is it just the size of the roundabout or roundabouts in general that you’re saying are dangerous? Roundabouts are meant to decrease the number of severe or fatal accidents. There is really good data on traffic fatalities and so I’ve always assumed this safety record to be well established fact. A quick googling shows a near consensus backing up that assumption. https://uploads.disquscdn.com/images/90789d8292e46c8b4dfa93538f94e6b5f83283e054760781cc2bea5d8721ba2c.jpg I like roundabouts a lot in general – even as a driver. But maybe this crude mockup shows the issue. The yellow lines are bikes or pedestrians. The red is the car. So you see how the car is forced to veer into the bike’s path. 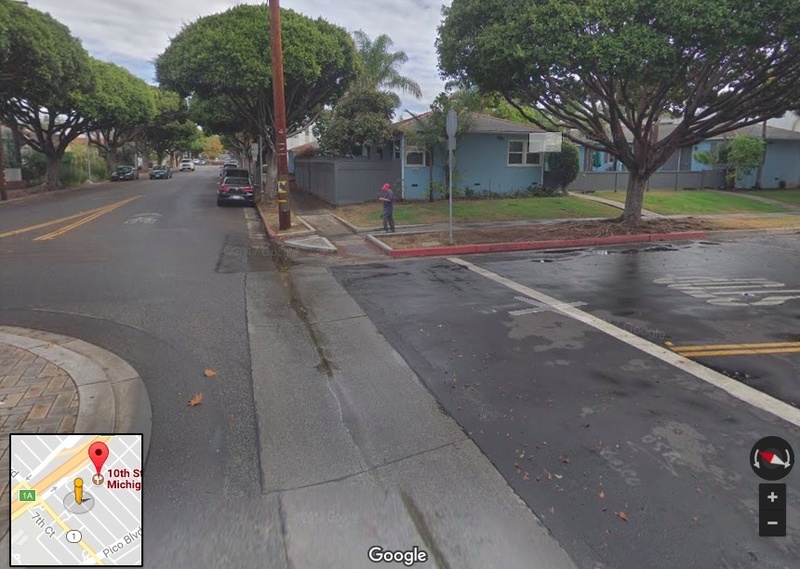 On the ones we have in Santa Monica, the crosswalk is closer to the curb, so if you are walking in the crosswalk cars come swerving right at you. It’s really unnerving. So… a good idea that needs to be better executed. In this image there isn’t enough room for cars to veer that far out of their lane. Thanks, I think I get what you’re saying. So the question is, what do the statistics look like? Roundabouts make a number of trade-offs with the understanding that there is a net improvement to safety. Even if what you’re saying about an increase in side-swipe collisions is true, it could be more than offset by a reduction in other types of accidents and/or a reduction in severe accidents overall. Its certainly a worthwhile and complex topic. Anecdotes are interesting but I’m skeptical if roundabout criticism relies on solely on anecdotes. Some more googling revealed a healthy debate on how pedestrians and cyclists are affected by roundabouts. But it also revealed a lot of unsubstantiated claims from roundabout critics. Not to lump you in with them, but we’re all strangers on the internet. 👎 Throwing obstructions in the way is not traffic-calming, traffic-calming is about changing the road so that people feel like going slower. A big wide open intersection does not achieve this. Planting a tree in a traffic circle does. This has been known for decades. I was just thinking, maybe we should go throw some planters in the circle. Just an update: yesterday Denver painted the circles on those three intersections. 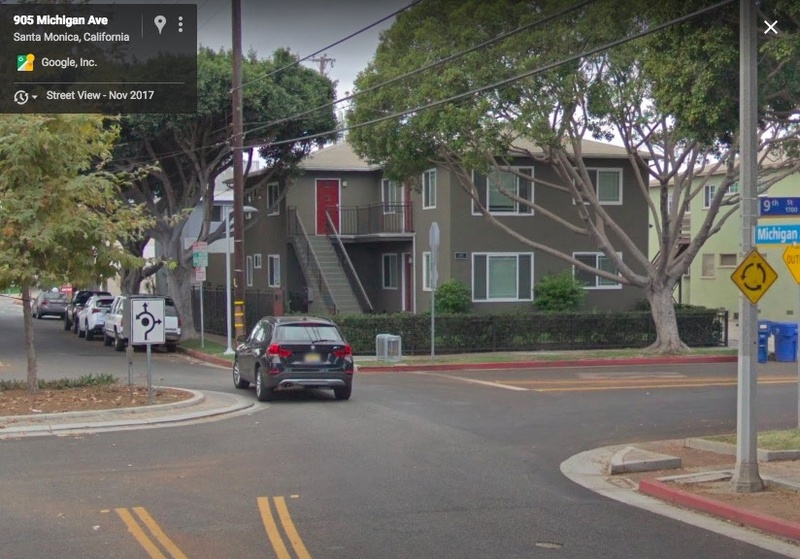 Instead of removing the two-way stop at Julian, they _added_ two more stop signs, making it a 4-way stop, with a round-about in the center. How is that useful? It certainly does nothing to help cyclists keep momentum. At Newton and Raleign, they left the 2-way stops, meaning north-south traffic must stop, and then also yield in the roundabout. Unsurprisingly, drivers are pretty confused, and behave even more erratically than normal. And while drivers on 35th tap their brakes entering the roundabouts, they resume their normal speed on the way out. I’m not seeing a net gain for anyone involved.